Olive et Gourmando, Montreal | eat. live. travel. write. 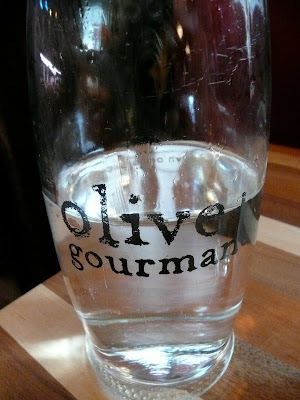 We weren’t super hungry when we finally headed out but I had a mission: Olive et Gourmando. We had eaten here a few years ago and I still remember the fabulous buttery croissants and pastries and great coffee. 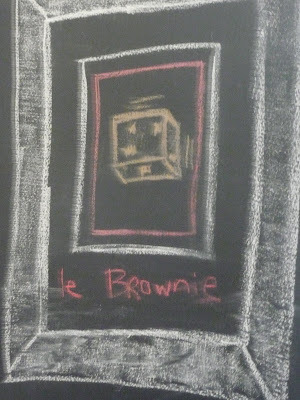 I never ate a brownie that I had to order in Paris – I just couldn’t do the accent!! Sounds so much nicer than “tap water” n’est-ce pas? If you find yourself in Montreal Tuesday – Saturday, run, don’t walk here! A little piece of France in the heart of Old Montreal. I absolutely LOVE your French phonetic interpretations of these food stuffs. I used to go to Paris twice a month for work, and on the rare occasion when I ordered a brownie or cookie rather than a pain au chocolat, it was quite an amusing translation. Great observation! I don't blame you for not being able to go past that brioche, it looks amazing. Your funny accent story reminds me of a friend who was learning French in primary school, and they had a special French day where they had fake money and could buy treats with it, but they had to ask for the treats in French. The poor little thing couldn't remember the word for cake, and all he could remember was orange, so all he got was an orange as his treat, haha. Glad it sounds like you were able to catch-up on some must needed sleep! This post is le cooool! Going to have to eat breakfast asap! Thanks for your kind message on my blog. Yum! I miss Montreal, it's been so long since I have been! Great post, Mardi. I am reminded about a slim Penguin volume (first published in 1979) by Miles Kingston, a "Punch" columnist at the time.. called "Let's Parler Franglais". On the back of the volume it stated: "Le Franglas est un doddle! Parlez Franglais et le monde is votre oyster. Apres 10 secondes, vous serez un expert, un belt Noir Des Languages – sans kidding." The brioche looks so decadent – I love Old Montreal! The last time we went to Montreal, we went the Schwartz for the smoked meat…mmm…then we walked all the way down the "mountain" to downtown to work it off! Eva – yes sometimes it's quite a challenge, huh? Conor – that is too funny – would be quite motivating to learn the treat words though! Natalie – it's a great foodie town! Geoff – that is hilarious! HighLow – yes, we've done the Schwartz's and the walk thing too!!! Leave a Reply to Simply Life Click here to cancel reply.